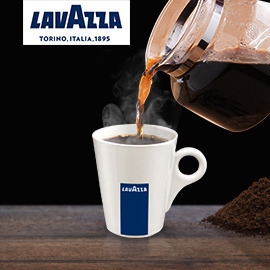 Lavazza is a leading Italian coffee company and worldly renowned for Italian espresso. Like other Italian fashion brands, Lavazza is stylish, distinctive, contemporary and premium. In 2015 Lavazza decided to enter in the filter coffee segment launching a range of two products named “Filtro Italiano”. But one year after the launch, the range does not trigger as much consumers’ interest as expected. Reinvent Lavazza filter coffee for Germany and give it a differentiating feature and give Lavazza a credible role within the filter coffee segment. Format: One page with visuals and text. Use template. Entries are accepted till September 11, 2016 23:59 UTC !